Yoon Gyoon-sang said, “I think I have a special connection with Lee Jong-suk. I starred in“Pinocchio”with him and also the movie “No Breathing”. We were brothers in “Pinocchio”“. The 21 year old young man who wanted to be an actor became a real actor 10 years later. We are talking about Yoon Gyoon-sang. 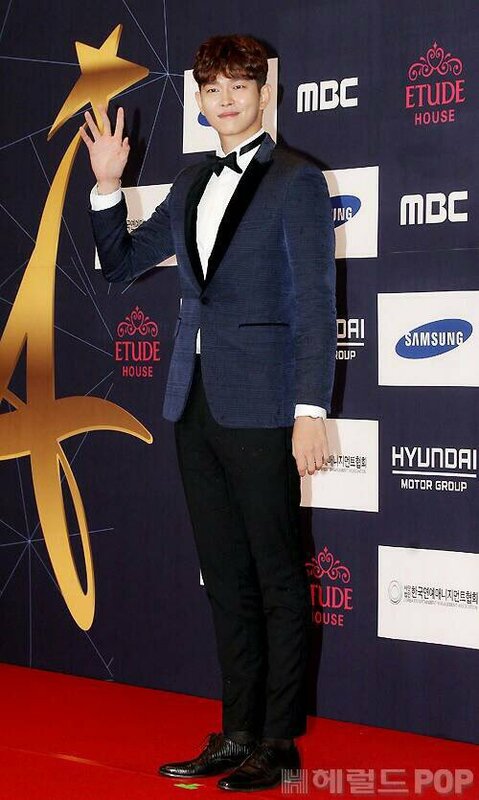 He starred in the SBS drama “Doctors” which ended successfully in the 20s. 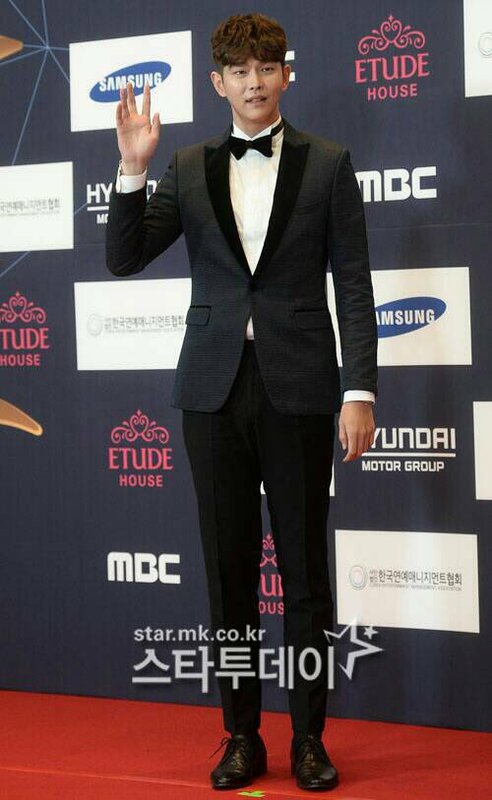 He took on the role of Jeong Yoon-do, a nasty but soft hearted doctor. He was born and raised in a wealthy family but he’s been scarred due to family matters. He is strong but weak at the same time. He did his best. He looked more disappointed in saying goodbye to his co-workers rather than Jeong Yoon-do. “I am always sad to let a project go. I am sad to part with my co-stars and co-staff members. I think I feel lonely thinking that I can’t see them as often every day”. [NEWS ARTICLE] OSEN TALK - ' 3 Meals A Day - Fishing Village 3 ' PD Na Young Seok "Eric Is Good At Cooking Than I Think". 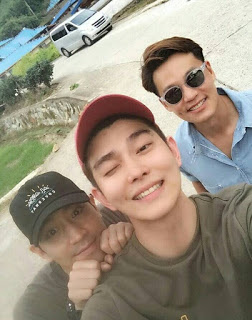 Lee Seo Jin who, this time, is facing the island village not the mountain district in Gangwon-do, Eric who hasnever once been in a tv show alone without Shinhwa members, the same goes to Yoon Kyun Sang who adavanced to a “newbie of entertainment show”, the expectations of the newly formed members are already high. 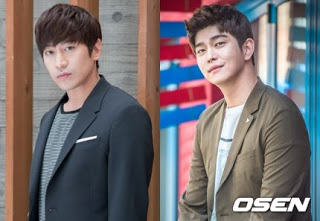 Before the first recording, PD Na Young Seok revealed to OSEN “Everything that Eric does is an art. Lee Seo Jin might just order around. Since Eric has been living alone for a long time, seems like he’s also good at cooking. Looks like he normally eats the foods he cooks at home too. At the end, Eric might be the one who will do both cooking and fishing." PD Na Young Seok revealed his thoughts. After the first filming, Na PD told OSEN "It’s the first filming, and because there are people who are new to tv show, I didnt have high expectations, but it was done more successfully than I think.” He added, “Lee Seo Jin is the same… and Eric is good at cooking than I think. 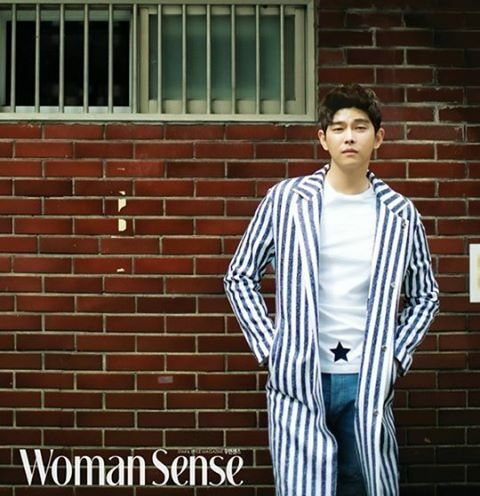 Yoon Kyun Sang made everyone shocked with his physical strength. The whole set atmosphere was so fun.” he expressed his satisfaction for the new members. The three people are scheduled to visit Deukryangdo for few more times in the future. There’s a plan to unravel many curiousities for this season of '3 Meals A Day - Fishing Village 3’ through a press conference before the first broadcast. The first broadcast will take place on October 14th. 1. 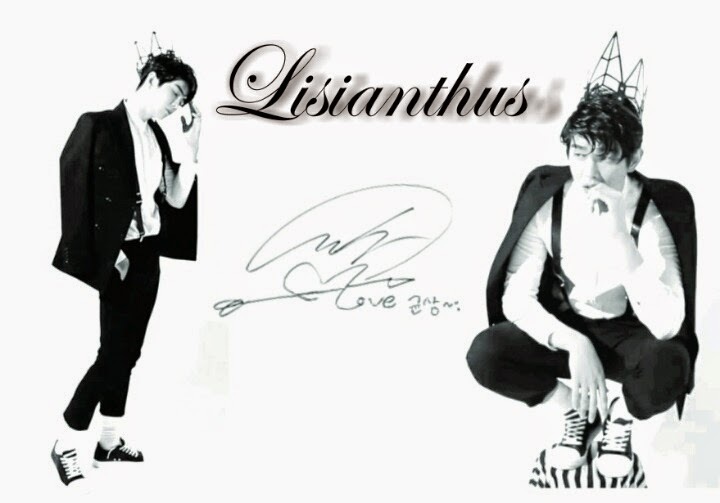 He have Handsome(Great) name called "Lisianthus Flower Garden’s Owner, Yun Kyun Sang". 2. His birthdate 1987.03.31 (31st March 1987). 3. His birthplace in Yesoo Hospital, Jeonju. 4. He live at District Dongjak, Seoul. 5. His Height (He don't like if someone lower his height!! Because if you see his profile on internet it'll show 187cm) but his real Height was 187-189 or even 190. When he have a physical examination before enlistment his height was 187,5. 6. His Shoes Size is 275-280 (Korean Size) . 7. He ever have corrected eyes by a LASIK surgery. His eyes sight before surgery it’s 0.3 the left side and 0.1 the right side. 8. He have some nickname like Tteokmani, Heodang(Sloopy).. Daenamu(Bamboo).. Jeonbotdae(Telephone pole), etc..
9. He don't believe in Blood Type grouping. 10. His strengths is "Tall body and Positive thinking" and his weaknesses is "Too tall and too positive thinking". 12. He had scolded by his father when he a kindergarten student because he played with his friend. 13. He’ve confidence in His No Double Eyelids. 14. He don’t like his broad (narrow) Forehead. 15. His favorite color is Achromatic Color. 16. His Hobby is Listening Music, Watching Movie, Playing Basketball and Riding Bicycle. 17. His Treasure number one is Family. 18. His favorite food (he keep in mind) Pasta, Kimchijigae, Kimchibokkeumbab, Meat. 19. Food that he don’t like the most or he can’t eat is Puppy. 23. His favorite (TV) program are Infinity Challenge and Dad where are you going? 26. His ideal type!! No special things about appearance, body, and the personality~ Just if she looks beautiful in his eyes then she will looks beautiful in other people’s eyes. That’s really how he liked a person only through his eyes (Beauty is in the eye of the beholder). 27. He ever get a confession from a woman in about 4 times. 28. The happiest time in his life is Faith’s first filming. 30. If he should choose between Love and Friendship, He said "Love (Friendship will always in my side even i didn’t choose it.)". 36. He want to have One Son and One daughter. 37. His favorite season is Winter because it's Clean from sweat. 38. The season he don’t like is Summer because it's Hot and a lot of insects. 39. His favorite animal is Puppy. 42. The book he read that make a deep impression are “배려” (consideration). “우리들의 행복한 시간” (Our Happy time). 43. The movie he watch that make a deep impression are “해바라기” (sunflower), “그대를 사랑합니다” (I Love You). 44. The most interesting drama for him is “추적자” (The Chaser). 45. His favorite and respected Actor (National and International) are National (Park Hae Il, Ryu Seung Bum, Lee Je Hoon), International (Denzel Washington, Robert Downey Junior). 46. A Role that he really want to try is A friend that full of loyalty, betrayer. 47. 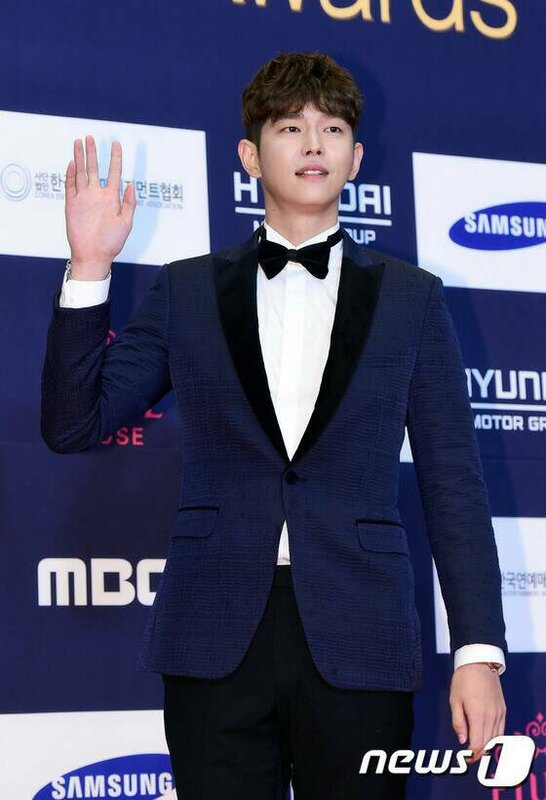 His goal that he want to achieve as an Actor is To be an Actor that people always looking for. 49. His habit if he drunk is Fell asleep. 51. He being Alone when he really angry. 52. If tomorrow earth will be destroyed, He really want to Blindly have a trip somewhere. 53. He want to bring along Friend, Alcohol and Music if he come into a deserted Island. 54. Outfit style that he wearing is a comfortable ones. 55. Weather that he like was All of it (raining, snowing and sunlight) except the wind that blows a lot. 56. If He come to a coffeshop, beverage that he mostly order is Coffee latte. 58. The most painful time in his life was when his finger injured and he should’ve a surgery. 59. The difficult time that he’ve on military, when he enter a training camp and missed his family. 60. If he win a lotto, he will buy a house then give the rest money to his parents, and keep doing acting that he really want to do. 61. The most scary things for him is 'If someone hate him'. 62. His favorite perfume is John Varvatos. 64. He really want to get along with “kkotnim” (fans) and doing something like a trip together. Take it with Full Credits!! 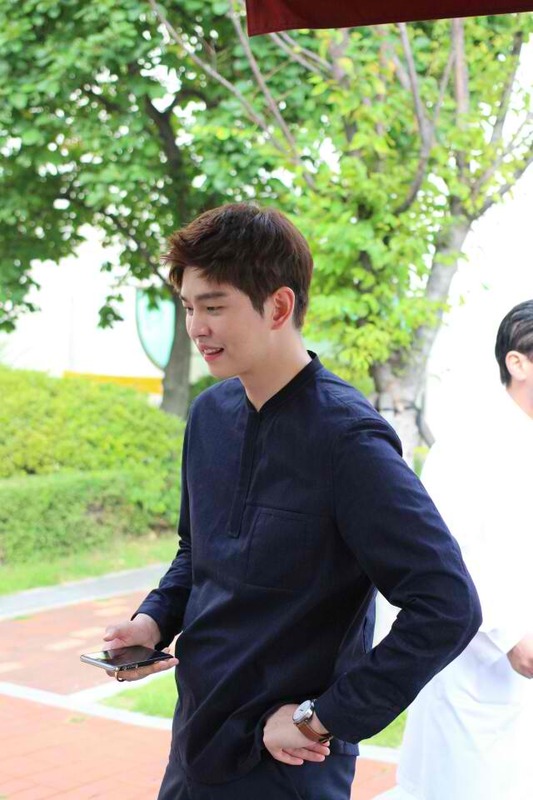 Actor Yoon Kyun Sang once again addressed the rumors linking him to his 'Doctors' co-star Lee Sung Kyung. 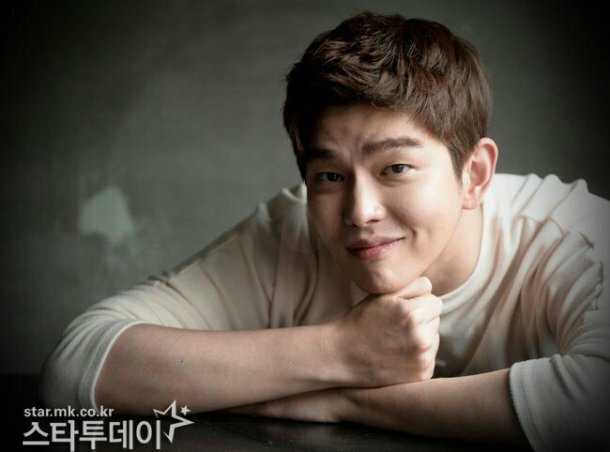 During an interview with 'Woman Sense', Yoon Kyun Sang commented on rumors speculating he and his co-star from the recently finished drama series were an item. He said, "I've heard speculations about our relationship after sharing friendly photos of us together on Instagram." He then revealed how the two reacted, saying, "We both laughed for a while. I guess it means that our chemistry on the set was just too good." It sounds like Yoon Kyun Sang and Lee Sung Kyung are at least very close friends! you're welcome @moonkittey thank you also for the information and for constantly posting here. i will be updating the main page soon. Actors usually get a lot of interviews, magazine cover and the like after their drama ends. For uri Kyun-sang, here are two video interviews, one is a cute Q&A. 10. Jung Yoon Do was a major character of a developing man who was also innocent but of a cold temperament. Was it hard to portray him? YKS: The acting was not particularly difficult to portray both characteristics. Working with actors for whom I have good feelings toward in this drama, I was able to convey the sincerity of the character. When I showed a cold visage or when I had to suddenly break down, the other actors in the scene helped me, and when I had to do an emotional scene, then the other actors watched me with warm expressions, so I was able to act naturally. 10. Do you have any regrets regarding Jung Yoon Do’s love when he ultimately ends up alone? YKS: Rather than regret, I think Yoon Do experiences an admirable love. Yoon Do’s way of loving is to cheer on the love of the person that he likes, but actually, I can’t do that. But, the writer and director made Jung Yoon Do a very cool and admirable character. If the love triangle with Hye Jung and Ji Hong had gone further, it might have made for a more entertaining story, but a lot of dramas have already done that. The Yoon Do in ’Doctors’ was able to openly express his love without expecting it to be returned, he was able to love admirably that way. I envy Yoon Do who is able to love in that way. 10. How similar, really, are Jung Yoon Do and Yoon Kyun Sang? YKS: I think it is about 80%-100% my visage. When I get angry, I get cold also, but when I’m with people I’m comfortable with, I can also be fragile. Not just with ’Doctors,’ but every character I take on has a part of me in him. 10. As immersed as you were in the drama, that must have made finishing that much harder. 10. Among Jung Yoon Do’s lines, is there a particular line that you’ve kept in your heart? 10. Were you moved by that line as well? YKS: Absolutely. Truthfully, when you’re having a hard time with love, drinking and telling someone else about it, you don’t actually hear what the other person says anyway. How heavy and deep that love is, only the person going through it actually knows. Saying that about one sided love to his teasing uncle feels like a cool thing to do, and it made me think again about the emotions regarding love. 10. In your next work, isn’t there any sweet romantic acting? 10. Is there an actress that you would want to work with? YKS: There aren’t any actresses in particular, but it would be good if she has a lot of aegyo and is mischievous. Since there needs to be a light atmosphere in order to love, it would be good to get close and develop rapport. Also, so that it will be comfortable on the shooting set, I hope it would be an actress with whom I could play around together while shooting. 10. Immediately after ‘Six Flying Dragons,’ you started shooting ‘Doctors.’ Wasn’t that hard? YKS: Actually, there was no real time to rest before I started shooting. Before, during the time I had to rest I would try to sleep and eat properly. Since I would suddenly get rest time, I would forget how to rest. (smile) After finishing ’Six Dragons’, since I was suddenly releasing all tensions, I got a cold and the flu. I rested for a moment before started shooting ‘Doctors’, but it was different from an action scene filled sageuk since it was a technical subject drama so there wasn’t much moving around so I was able to rest and my body was comfortable. 10. From a warrior to a doctor, were there any difficulties in changing between such different types? YKS: It was very difficult. Thinking about going from acting as Moo Hyul for 10 months to within a month acting as Jung Yoon Do, I worried a lot about it. Also, I thought there would be a lot of difficult medical terms in a doctor’s profession. Going from a sageuk to a modern day drama is hard enough, learning technical dialogue made me feel it would be even more difficult. Still, being on the set, shooting happily while smiling made me forget those worries quickly. 10. The works that you’ve finished. Do you have any comparisons? YKS: I don’t think about choosing any work as being particularly good. All of the stories and characters develop their best points so that the viewers will like them. Altogether (the favorably tending viewers) were sympathetic and seemed to like them. 10. It seems that you were lucky in dramas and lucky in actresses. 10. With this drama, was there any scenes that were difficult for you to digest? YKS: The first scene where I became ruined was the hardest. It’s the scene I like the best, but at that time I worried a lot about how far to carry my distress. It was a scene which had a situation where not only did I not save Shin Hye, I had to receive her help to my embarrassment, and then running down the stairs, Park Shin Hye shows me her fighting skills which shocks me into instantly becoming a “total wimp.” (smile) During that time, how much difference between the images, and whether if the reaction was too strong, that would be a hindrance to the character, was something I considered a lot. However, whether cold Yoon Do or warm Yoon Do, I acted so that it wouldn’t look like Yoon Kyun Sang. 10. 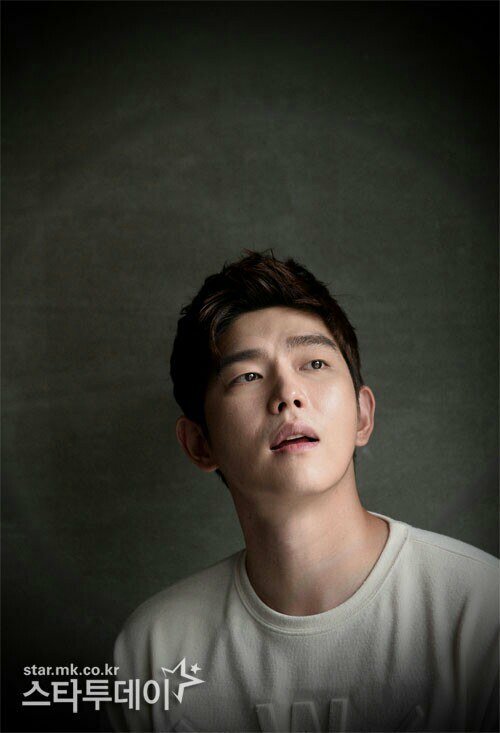 Even as Jung Yoon Do did, Yoon Kyun Sang also through ‘Doctors’ able to show his best. YKS: Since this was the first time doing a technical subject drama, I studied a lot. Preparing for it was not easy. There were many doctors involved so there were a lot of meetings, and since they were also watching us to see how we handled the surgeries, we set it up and acted as if they were real surgeries. All the advisors helped us, and while acting, together with Shin Hye, Rae Won hyung, and Min Seok, we learned a lot. 10. Was there a good relationship with Kim Rae Won? YKS: Rae Won hyung is my wannabe. (My comment – so someone that YKS wants to emulate). He is an actor that I really wanted to meet at least once. Actually, as a man, we watch Kim Rae Won movies many times. I liked Rae Won hyung’s works so much, that when we first met, I was shaking. But, since we watched each other and became close, he is a very comfortable person to be around. He helped a lot with acting advice and cared for me always, so I was able to comfortably act. He was really a lot of help. YKS: No matter which work I do, I’m never 100% satisfied with it. While viewing the scenes on the monitor, it shows regrettable parts, and even when it’s Jung Yoon Do by himself, there can be a regrettable result. (smile) But still, it’s on the satisfying side. I am working hard so that I can show an even more satisfying acting. 10. The side of you that you want to show in the future? thank you so much @nonski for all the updates ! He really is adorable. I have to figure out where to get episodes of fishing village so that I can watch more of him. Actually, I liked him when I saw him on Faith. I thought he was the cutest maknae of the Woodalchi. His acting skill had improved vastly by Pinocchio. And, in Doctors, he definitely wore his character confidently. @nonski, I read on this thread that you've taken it over. Cool. I'm sure that you'll generate a lot of love for him. Thank you! thank you @the girl who! and please continue to spread the love for our kyun-sang!